The contents of our pages have been prepared with the greatest care. However, we cannot accept any liability for the correctness, completeness and actuality of the contents or for damage resulting from incorrect information. As soon as we become aware of such violations of the law, we will remove these contents immediately. The website contains links to external websites of third parties over whose contents we have no influence. Therefore, we cannot assume any liability for these external contents. The linked pages were checked for possible legal infringements at the time of linking. Illegal contents were not recognizable at the time of linking. If we become aware of any infringements, we will remove such links immediately. All contents and works of this website are subject to German copyright law. 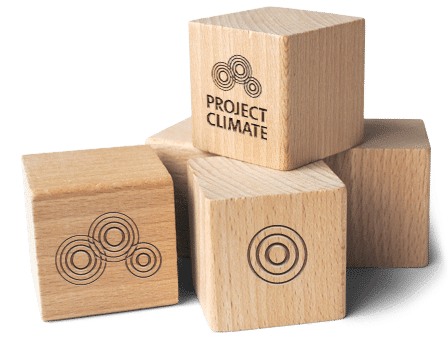 The copyright belongs to PROJECT CLIMATE GmbH. Duplication, editing, distribution and any kind of use outside the limits of copyright law require the written consent of the respective author or creator. As far as the contents on this site have not been created by the operator, the copyrights of third parties are observed. In particular, the contents of third parties are marked as such. Should you nevertheless become aware of a copyright infringement, please inform us accordingly. If we become aware of any such infringements, we will remove such content immediately.